Tickets are now on sale for Imago’s annual fundraiser Art en Boîte. This event allows the printshop to purchase and update much needed equipment. Participating artists generously donate work that is randomly placed in pizza boxes. The ticket holder receives a number which corresponds to a box. The ticket holder is then encouraged to mingle in the crowd and exchange its contents if so desired. 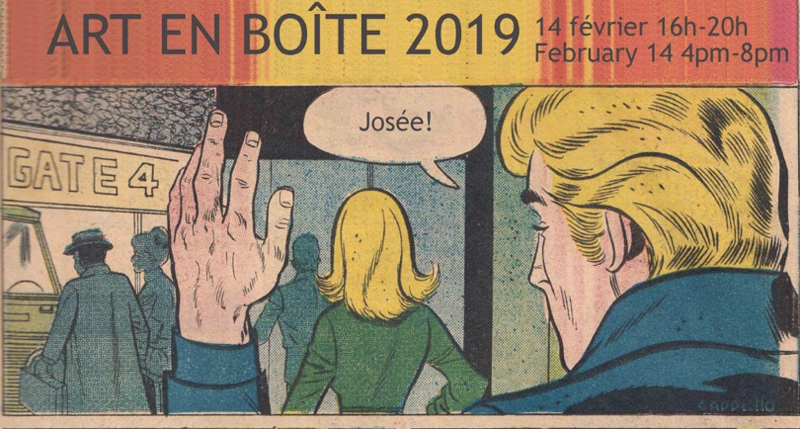 Art en Boîte will take place on Thursday February 14 at the Centre culturel Aberdeen (first floor) from 4pm until 8pm. The Festival Acadie Rock unveils it’s 7th edition program!